Beyblade Burst tops bring wild fun to the Beyblade Burst Beystadium. Your opponent’s top can "burst" into pieces, resulting in 2 points for the player left standing (Burst rates vary). First player to earn 3 points wins! 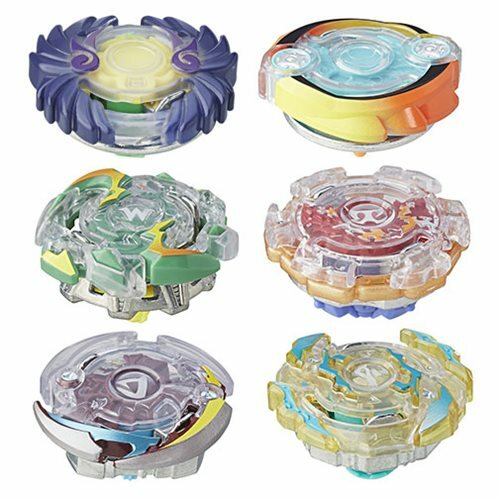 Energy Layers, Forge Discs, and Performance Tips are interchangeable with other Beyblade Burst tops, for customization. Beyblade Burst tops come with a scan-able code, giving access to these tops in the Beyblade Burst app. The app allows for play with combinations of Performance Tips, Energy Layers, and Forge Discs within stadium atmospheres. Play in the app with the creations. Scan the code on a Beyblade Burst top to unleash it in the Beyblade Burst app. Let it rip!